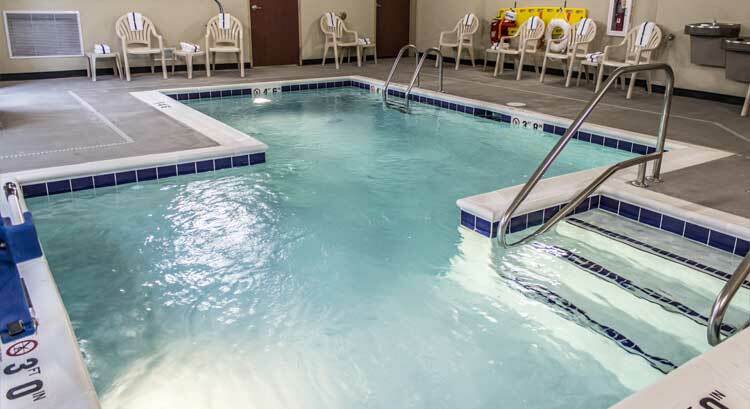 Wondering where to stay while you're in Chippewa Falls? Here are some of the local highlights if you're looking to make your time here more memorable, no matter what kind of experience you prefer. Looking for something romantic? You won't find a more lovely place to stay than this bed and breakfast. To visit their site for details or to book a room, click here. Pick from several themed rooms with luxurious amenities such as whirlpools and fireplaces. Every stay includes a fresh breakfast made as much as possible from locally-sourced ingredients. Enjoy the breeze off of the lake as you sit and enjoy the beauty Chippewa Falls is known for. If you're looking for a traditional hotel stay right downtown Chippewa Falls, look no further. At the Cobblestone Hotel and Suites, their cozy and spacious guestrooms let you unwind, relax, and rest peacefully. The swimming pool will ensure fun for the whole family! Also, keep up with your healthy routines by using the onsite fitness center. You will be in walking distance of historic Chippewa Falls. Whether you're looking to eat, shop, or go for a walk in the nearby park, you'll be close to it all! If you're looking for a an outdoors experience that's fun for the whole family, here you go! To visit their site for details or to make a reservation, click here. No matter your age, enjoy over 100 acres of land with endless activities. Tons of activities for to keep the kids busy whether it be crafts, mini-golf, or the arcade! Enjoy tubing alongside your creek rental, set up a tent, or pull up your RV to a full hook-up site.